President Michael Gottfredson traveled to Salem Wednesday to meet with legislators during the first week of their month-long legislative session. The president met with members of the House and Senate education committees as well as legislative leadership including House Majority Leader Val Hoyle, a Democrat from Eugene. 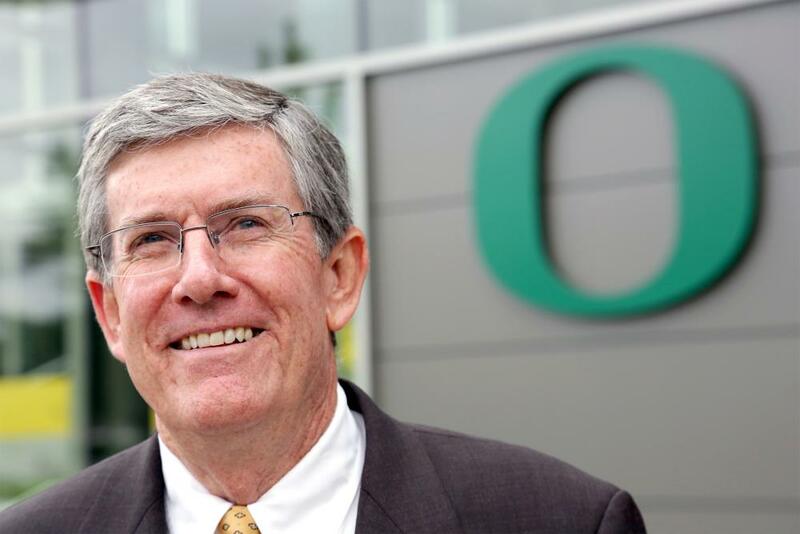 Gottfredson briefed the legislators on the first board meeting of the UO Board of Trustees, made possible by the passage of SB 270 during the 2013 legislative session. In addition the president took time to urge lawmakers to fund two capital construction requests from the UO, one a repair of a utility tunnel under Franklin Boulevard and the second a renovation and seismic upgrade to Chapman Hall, home of the UO Honors College. UO senior Mackenzie Warner, a political science major, accompanied Gottfredson for several of his meetings with his legislators. Warner, a Baker City native, is an intern with the UO Office of State Relations for the session. During the legislative session, President Gottfredson frequently travels to Salem to meet with legislators about issues related to UO, and occasionally to discuss policy related to his academic research on crime.